Paige the Dragon is here to save the day! This fluffy purple dragon isn't like your other run-of-the-mill dragons, because she loves to get out of her cave and travel around the countryside. But instead of spewing fire, flames, and destruction, Paige is just all about flying high, smelling the roses, and munching on candy whenever she gets the chance! 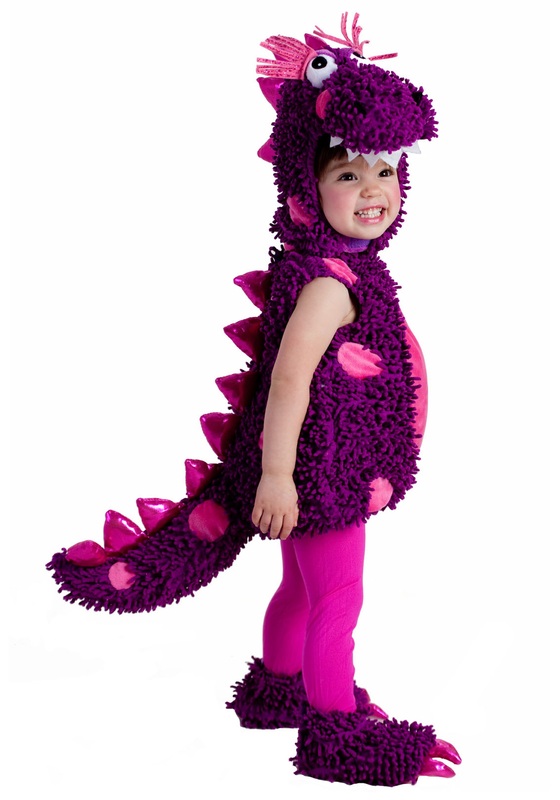 If you think your little one might enjoy becoming this delightful dragon, this toddler costume will transform any child into the plush and huggable friend. 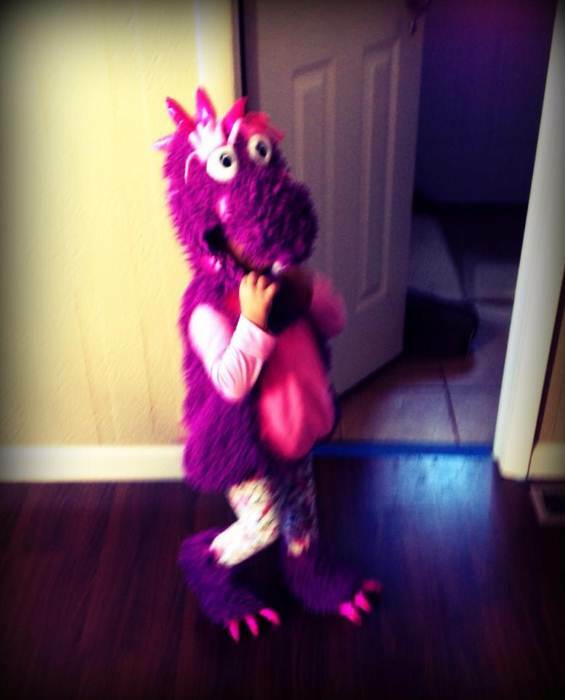 And in sizes 12 Months to 2T, we're going to have the right fit to get your young one some purple spikes and claws. This adorable Halloween costume is styled as a romper with hood and matching shoe covers. Purple pile material is accented with spots of pink fur, and metallic pink spikes give this dragon a cute factor that's just a little bit intimidating too! But the soft sculpt eyes and teeth are sure to let all the villagers know that this beastie is a sweet one who probably just wants to cuddle and watch her favorite flicks. Complete her costume look with pink tights, and she'll be ready to hang out, provided that you have enough sweets on hand to keep her fire breathing at bay! LOVED this costume!!! However the head piece was way too heavy for my 2 year old's head. Had to get her a different costume.